AL MEDEIROS: What do I think about legalizing cannabis? I think its great you know its just a movement in the right direction. If we go full recreational and everything, weʻre gonna have other options to grab cannabis from anywhere besides just going on the streets. CASSIE ROBINSON: Why is this even a question? Why is it not just legal already? It seems silly. LIONEL WRIGHT: This year, I would have to say no. And it’s just being realistic about Hawaiʻi and the state. Everything in Hawai’i takes two years. MICHAEL GAROVICH: I think it should happen soon. It’s a little hypocritical that alcohol, tobacco is legal, and then you have marijuana over here. It’s a healthier alternative so I see no reason why it shouldn’t be recreational. 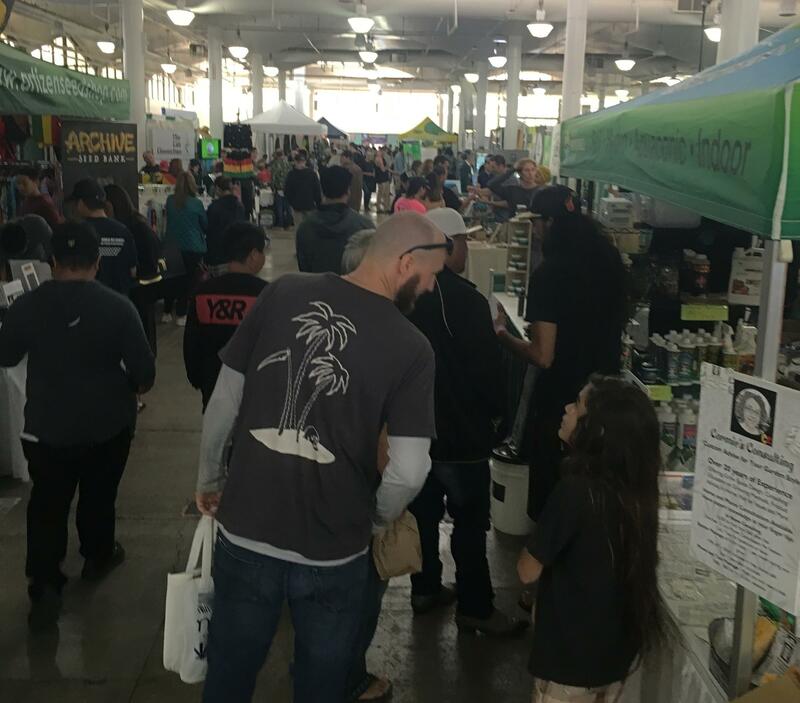 Those are the voices of expo organizer “Big Al” Medeiros, dispensary worker Cassie Robinson, Lionel Wright of Papakōlea, and cannabis farmer Michael Garovich. While this group largely supported recreational marijuana, things aren’t as hopeful at the legislature. Last week, a Senate committee passed a measure to legalize recreational cannabis. The bill’s momentum came to a halt Monday when Senate leadership sent it back to committee, likely shelving the measure this session. Still hope springs eternal back at the expo. Here’s Hawaiʻi Dispensary Alliance Executive Director Christopher Garth. So far 10 states have legalized recreational cannabis. Attorney General Jeff Sessions’ decision to roll back protection of cannabis businesses last week left a cloud of uncertainty over Hawai’i’s medical cannabis dispensary program. The state’s two-year-old program is still trying to find its foothold in the islands – with only four of the eight dispensaries open for business. Despite the slow roll out, patients and providers are wasting no time to ensure the medicine gets to where it needs to go. HPR reporter Kuʻuwehi Hiraishi has this story. The who’s who of Hawaiʻi’s medical cannabis dispensary program will be meeting today. 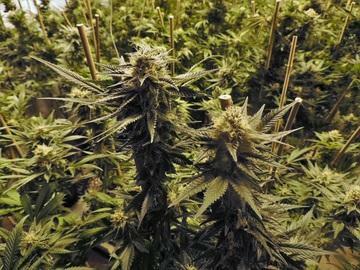 The Medical Cannabis Working Group has been meeting every month for the past year. This will be the first meeting since dispensaries have opened. HPR’s Ku’uwehi Hiraishi has this story.